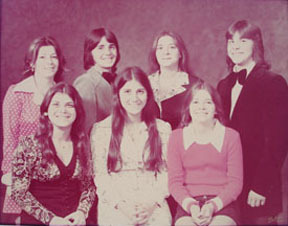 What over 40 years of photo restoration and art experience can make in repairing photos, judge for yourself what quality should look like. This page was put together by the request of one of my customers to let you know you get what you pay for. Some people seem to think they can offer photo restoration work because they have photoshop and a scanner with the click of a button. Sorry it does'nt work that way. Yes sometimes you can get lucky with the click of a button, but not very often. 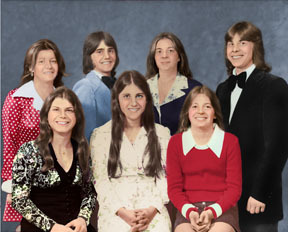 Good photo restoration work takes many hours and patience to prepair good quality work. Be carefull who you do buisness with. 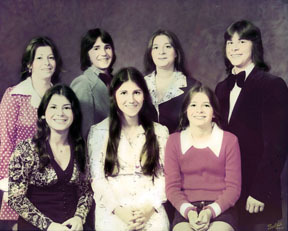 This example shows the quality of photo restoration work one company has offered. This photo is too washed out no color in faces or clothing, customer said they look like "porcelain dolls"
My customer was very disappointed with the quality of the work the other company not mentioning names did for her. They would not give her money back to her. But told her the work is the best you will find but if she could find someone who could do better job they would give her money back. Well I am happy to say when she showed them the work We did, I am told they did give her money back. But this kind of running around trying to get proper workmanship because one company did not do a good job for you, is not something you should have to do. So please dear friends BE CAREFULL. can do for photo finishing and photo preservation.